When you are visiting Sri Lanka the chances are that you will be arriving and leaving from Negombo as Bandaranaike International Airport (Sri Lanka’s main international airport) is located in Negombo, not Colombo. 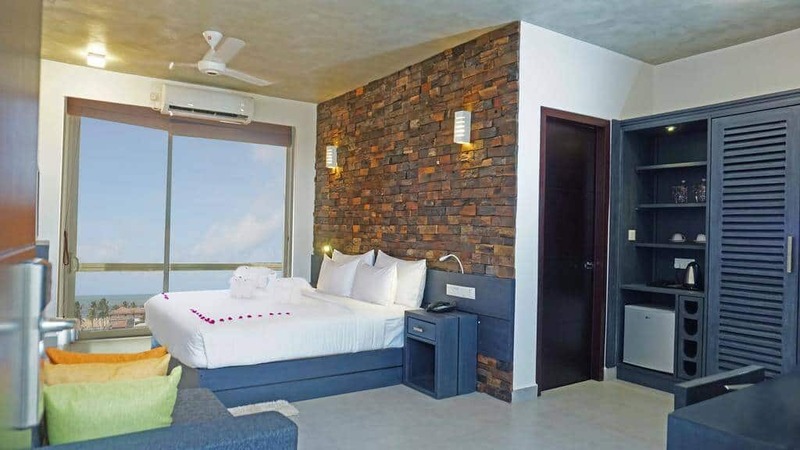 Now depending on your flight, you might be able to stay in Colombo but if not we recommend you stay in Negombo as there are a wide range of hotels in Negombo to suit all needs. 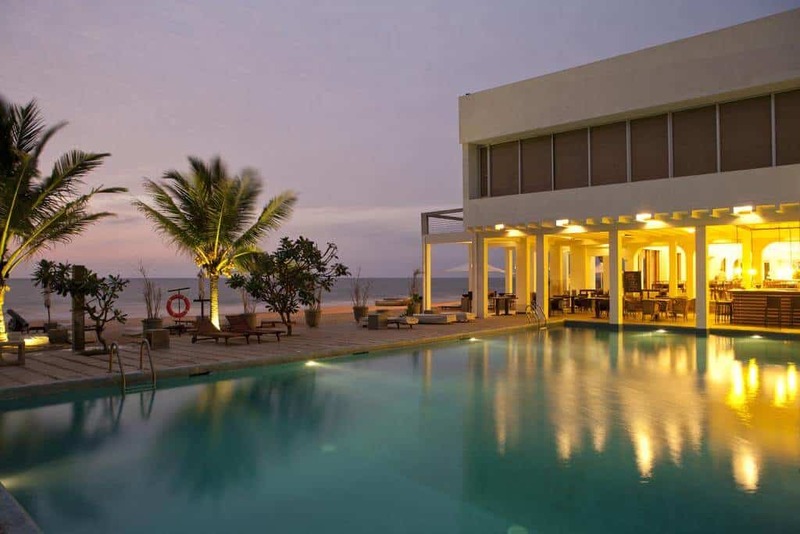 From beach hotels to family run guesthouses below is a list on where to stay in Negombo. 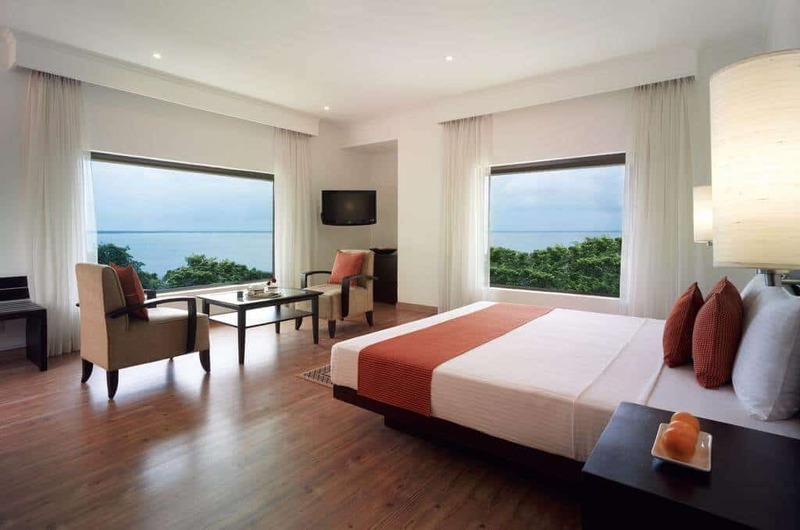 The Heritance Negombo Hotel is situated in a perfect location, right on Negombo Beach! Previous guests loved the location, the food and the rooms. It has over 2,000 reviews with almost all of them positive. 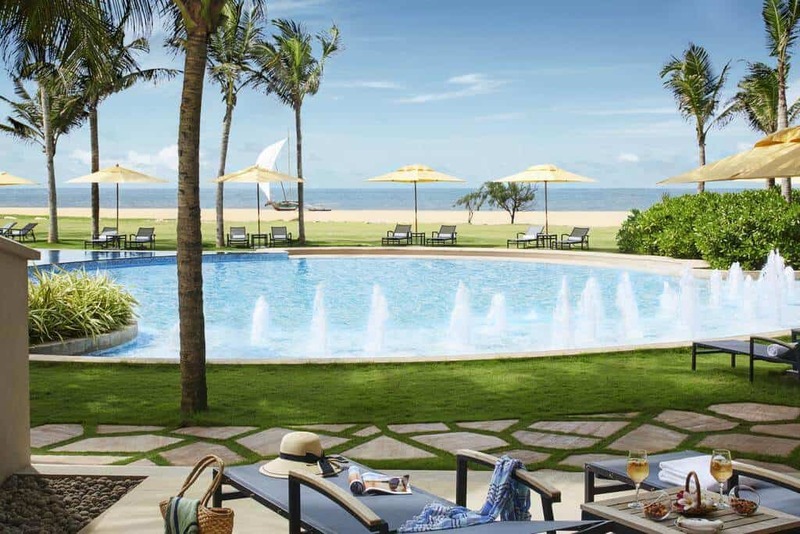 Offering an outdoor pool, Heritance Negombo is located 1.3 miles from St Anthony’s Church and a 40-minute drive away from Colombo. Free WiFi access is available and rooms come equipped with a minibar. The property offers 7 dining options ranging from seafood dinners on the lawn overlooking the ocean to casual dining at Mad Dogs or bakery treats at the Swiss Bakery. We have stayed in quite a few Jetwing Hotels when we travelled around Sri Lanka and they were all excellent with fantastic eco-policies. The Jetwing Lagoon looks no different. Who wants to eat at that table! This 5-star resort offers elegant, eco-friendly accommodation with private balconies and bathtubs. The resort uses solar energy and provides excellent facilities like a 100 yards outdoor pool, 5 dining options including a wine cellar, and a spa. Overlooking a lagoon the property located 4.3 miles from the Negombo City Centre. Colombo International Airport is 9.9 miles away. All rooms boast views of the pool or the garden and feature a spacious seating area and a semi-outdoor bathroom concept. They are equipped with a flat-screen cable TV, a minibar and ironing facilities. Toiletries, a hairdryer and bathrobes are also provided for guests’ convenience. Some rooms overlook the lagoon. 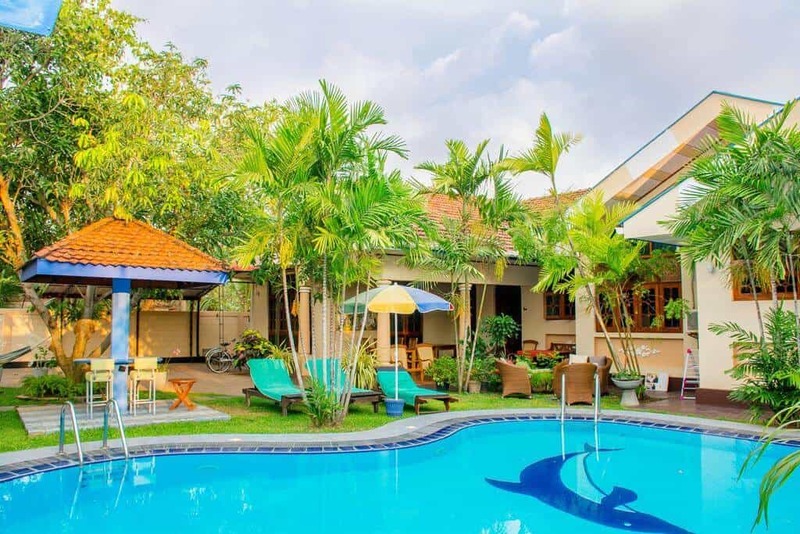 Natasha Garden Boutique Resort is a firm favourite of people visiting Negombo with previous visitors loving the fact that it is a family owned hotel. They also love the breakfasts, pool and location as it is quiet but still close to the action in Negombo. At the resort, every room comes with a patio with a pool view. Rooms come with a private bathroom. At Natasha Garden Boutique Resort, the rooms are equipped with a seating area. Breakfast is available daily and includes continental, Full English/Irish and American options. The accommodation offers a barbecue. 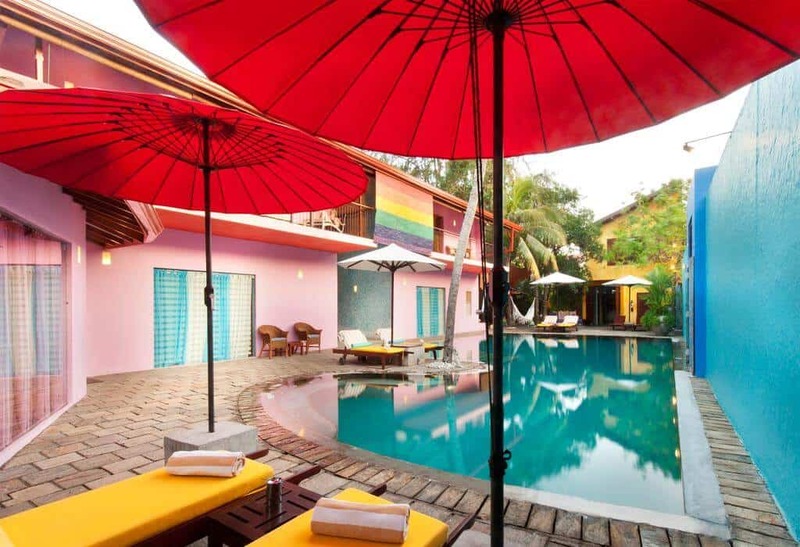 The area is popular for cycling, and car hire is available at Natasha Garden Boutique Resort. The Gateway Hotel Airport and Garden by Taj has fantastic reviews from its previous guests and looking at the views from that room I am not surprised why. 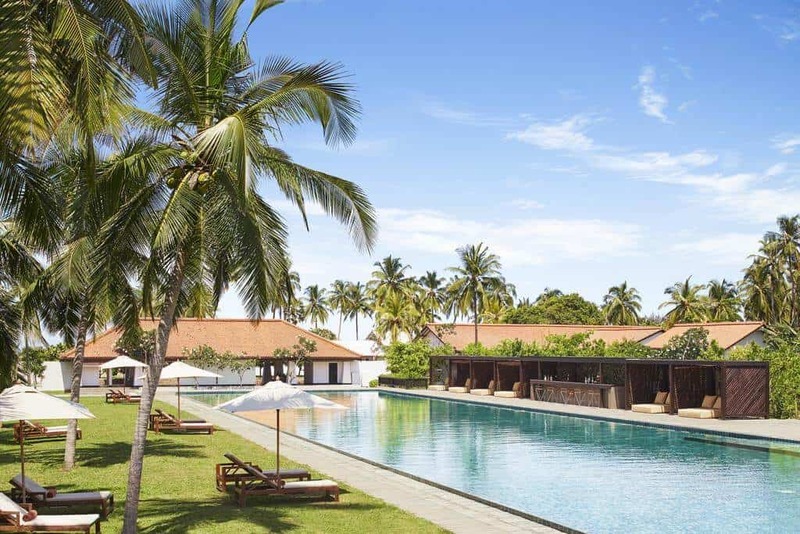 Sitting on a coconut plantation beside the Negombo Lagoon, The Gateway Hotel Airport Garden features an outdoor pool and tennis courts. It also offers 2 dining options and a shopping arcade. 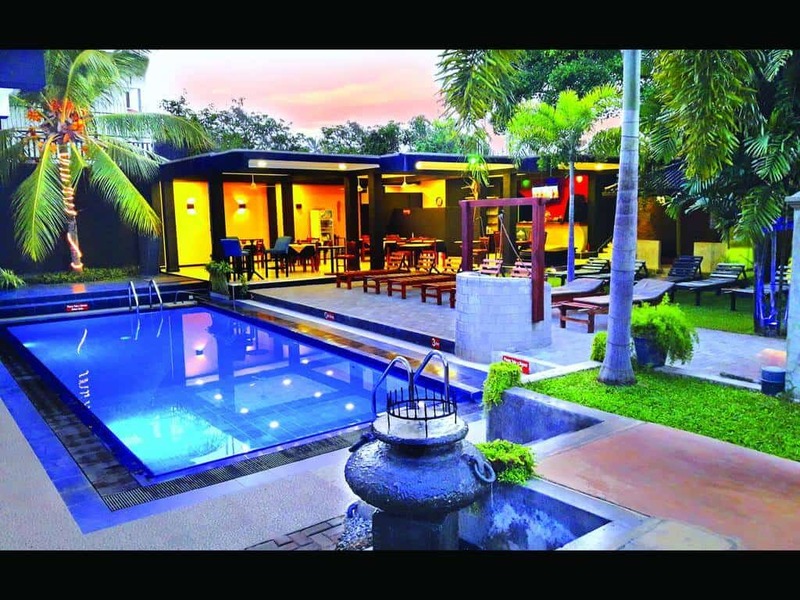 The Gateway Hotel Airport Garden is less than 3.1 miles from Bandaranaike International Airport and Katunayake Town. Airport shuttles are available at an extra charge. The air-conditioned rooms are equipped with satellite TV and minibar. Each room comes with a private bathroom. Previous guests love the first class service, the location and the delicious food. 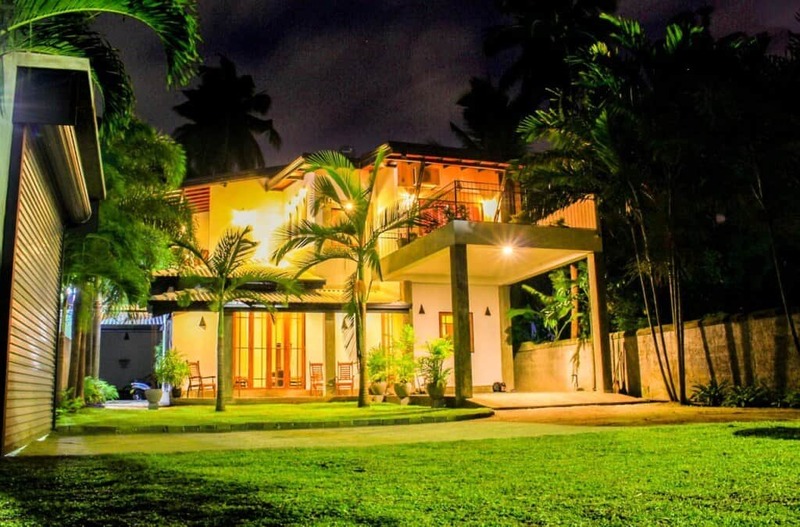 Villa Dominikku is a popular family run bed and breakfast in Negombo. Offering a garden and free WiFi, Villa Dominikku’s rooms have a private bathroom and shower, air conditioning, a flat-screen TV and a fridge. Some units feature a seating area and/or a balcony. Breakfast is available every morning and includes continental, Full English/Irish and Asian options. Other guests have enjoyed the rooms, food, location and the price. A special mention goes out to the hosts as every review mentions them! Dickman Resort is an adults-only property located just 150 yards from Negombo Beach. Guests love that this 10 room hotel has first class service but in a very laid back manner. It is close to all the restaurants and bars but yet it is quiet in the evening. A perfect combination in my view! There is a pool, free wifi and all rooms are air-conditioned. Jetwing Sea sits right on Negombo beach giving you a perfect excuse to relax if you have just landed in Sri Lanka or are about to jet off. The hotel features a spa, 2 infinity pools and a rooftop fitness centre. 0.6 miles from the famous Dutch Canal, spacious rooms offer stunning sea views. Featuring modern dark wood furnishings and artwork, Jetwing Sea’s air-conditioned rooms have flat-screen TVs and DVD players. A sofa and tea/coffee making amenities are provided for convenience. Guests love the rooftop spa, location and cuisine. Hotel Sico is a 4-star hotel with an outdoor swimming pool, a garden and a terrace. This 4-star hotel offers a 24-hour front desk, a shared lounge and free WiFi. European cuisine is served at the restaurant. The rooms in the hotel are equipped with a flat-screen TV with cable channels. Featuring a private bathroom with a shower and free toiletries, some rooms at Hotel Sico also boast a city view. A continental breakfast is available every morning at the property. Guests love the clean rooms, the location and the food served at the hotel. Negombo Beach Park is 550 yards from the accommodation, while St Anthony’s Church is 1.3 miles away. Bandaranaike International Airport is 8.7 miles from the property. The Panorama Negombo is a popular guest house right in the heart of Negombo. The guest house offers a pool, air-conditioned rooms, free parking and good breakfasts. It is right next to Negombo’s restaurants and bars making it a perfect spot for a night or two. The Cove offers luxurious 5-star accommodation with sweeping views of the sea. It features a restaurant and free Wi-Fi access in its public areas. Elegant rooms come with modern interiors and floor-to-ceiling windows. All the well-appointed units are equipped with a cable TV, personal safe, and bathroom with a bathtub. Guests can relax on the sun terrace, or enjoy a barbecue on the beach. Concierge and airport shuttle services are provided for those who wish to travel. Local and international favourites are served at the on-site restaurant. Guests love the rooms, the location and the exceptional service from the staff. Going to Sri Lanka? Check out our other Sri Lankan posts first! How To Get From Negombo to Colombo By Train, Bus Or Taxi – How To Get From Negombo to Colombo By Train, Bus Or Taxi. If you are heading to Sri Lanka and was wondering how to get from Negombo or the airport to Colombo please read our post for all the travel information you need. How to travel from Colombo to Kandy – Read about all the options to travel from Colombo to Kandy. Should you take a taxi, a bus or a train. Click here for the pros and cons of each option. Why Ella is our favourite place in Sri Lanka – Are you heading to Ella Sri Lanka? 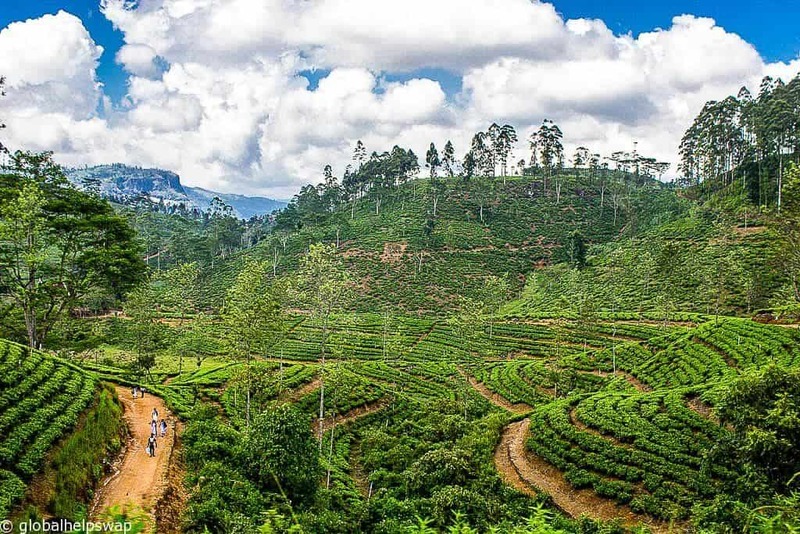 Read about our top 8 things to do in Ella Sri Lanka before you go and find out why it’s our favourite place in Sri Lanka.